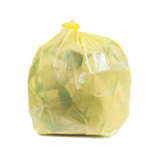 Once you get up to the 32 to 33 gallon trash bags size, you’ll find the kind of large garbage bags favored for commercial settings and large scale cleanups. 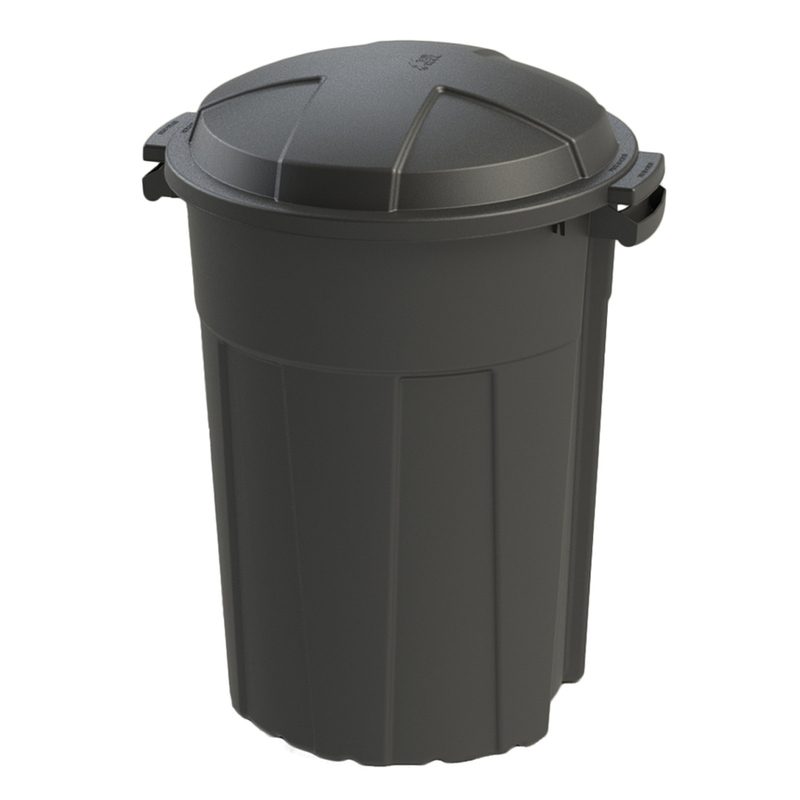 It’s a good size for the 32 gallon Rubbermaid Brute can. 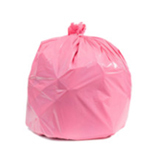 Our inventory includes affordable high-density garbage bags for offices and bathrooms, and extra heavy duty trash bags made from low-density plastic for outdoor or warehouse use. 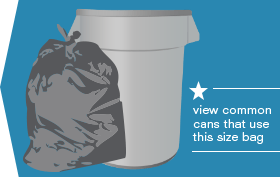 Our 32-33 Gallon Bag collection offers many bags that usually work well in the cans below. 33 Gal Eco-friendly, 1.5 Mil Equiv. 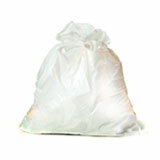 This selection of large trash bags in the 32 to 33 gallon range includes some very useful specialty bags. Choose your bag by color (there’s an entire rainbow available: you can even color-coordinate your bag with your party decor!) 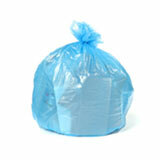 or by thickness (the higher the micron or mil number, the stronger the bag.) 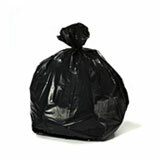 There are thick garbage bags in this category that are up to 2.3 mil thick. 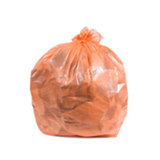 That’s close to the thickness of contractor garbage bags, and these bags are popular for landscaping trimmings, also referred to as 39 Gallon Lawn and Yard Trimming bags. 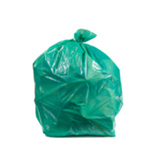 You’ll also find eco-friendly bags made from post-consumer materials and recycling garbage bags in both clear and blue options. 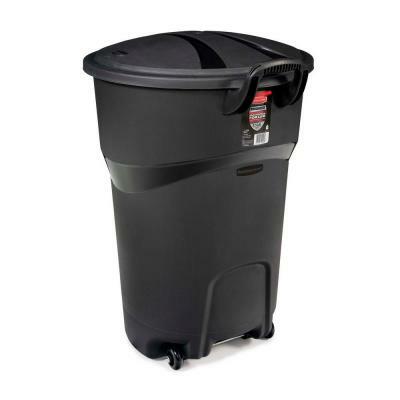 We have many popular commercial garbage can liners in this size: the white trash bags are particular favorites in large bathrooms and medical facilities, while the black garbage bags hide unsightly waste in kitchens and the clear bags make it easy to see storage or donation items with just a glance. 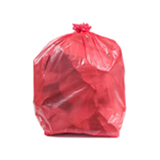 Purchasing wholesale garbage bags from Plastic Place is the easiest way to save money for your family or business without having to skimp anywhere. Our products are made to the highest standards, and we stand behind them 100% with our satisfaction guarantee, so you can order with confidence. 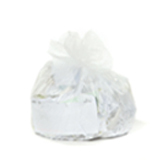 We’ll personally help you pick out bulk can liners for all of your needs, and ship them right to your door, saving you time and money. 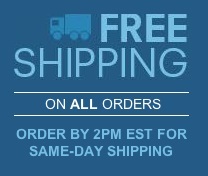 The more bags you buy at once, the more money you save: that’s our way of saying thank you.